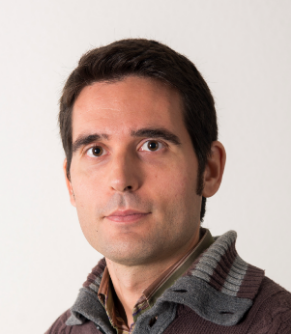 Roberto Rubio obtained a Phd in Mathematics at the University of Oxford in 2015 (Generalized geometry of type Bn), supervised by N. Hitchin, and at the Universidad Autónoma de Madrid in 2012 (Higgs bundles and Hermitian symmetric spaces), supervised by Ó. García-Prada (ICMAT). In 2013, he worked as a Retained Lecturer at Jesus College, Oxford University, and since 2014 he is a fellow of the UK Higher Education Academy. He has held postdoctoral positions at IMPA (2014-2017), supervised by H. Bursztyn, and the Weizmann Institute (2017-2018), supervised by A. Aizenbud and D. Gourevitch. Since September 2018, he is a Marie Sklodowska-Curie fellow at UAB, with his project GENERALIZED. Generalized geometry: 3-manifolds and applications, supervised by J. Porti. On higher Dirac structures, joint work with H. Bursztyn and N. Martínez Alba. IMRN, to appear, available online. Infinitesimal moduli for the Strominger system and Killing spinors in generalized geometry, joint with M. Garcia-Fernandez and C. Tipler. Mathematische Annalen, Volume 369, Issue 1–2, October 2017, pp 539–595. Higgs bundles, Toledo invariant and the Cayley correspondence, joint work with O. Biquard and Ó. García-Prada. Journal of Topology, Volume 10, Issue 3, September 2017, pp 795–826. Bn-generalized geometry and G2(2)-structures, arXiv:1301.3330. Journal of Geometry and Physics, Volume 73, November 2013, pp 150-156.